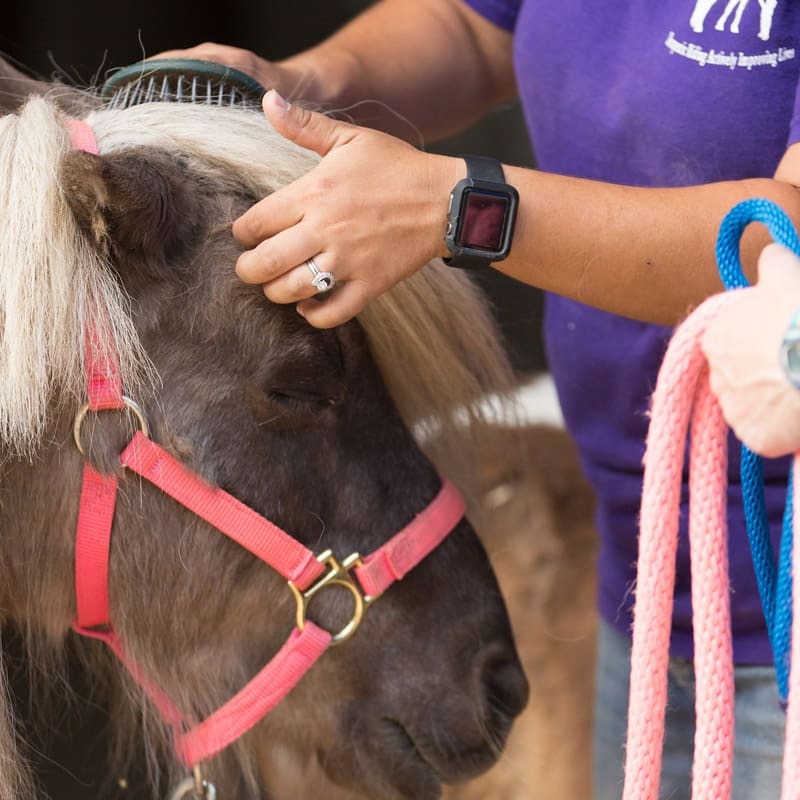 A horsemanship program that focuses on teaching riding and horsemanship skills on and off the horse to those with physical limitations, developmental and social delays. 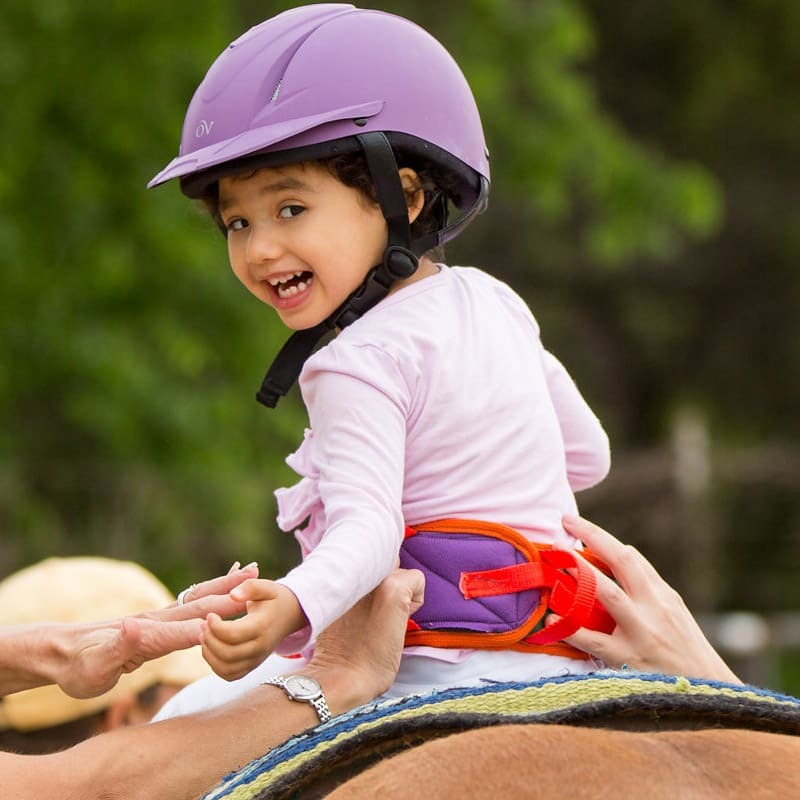 A relationship building program that focuses on teaching responsibility, improving self worth, decision making, independence, and how to communicate needs and wants. 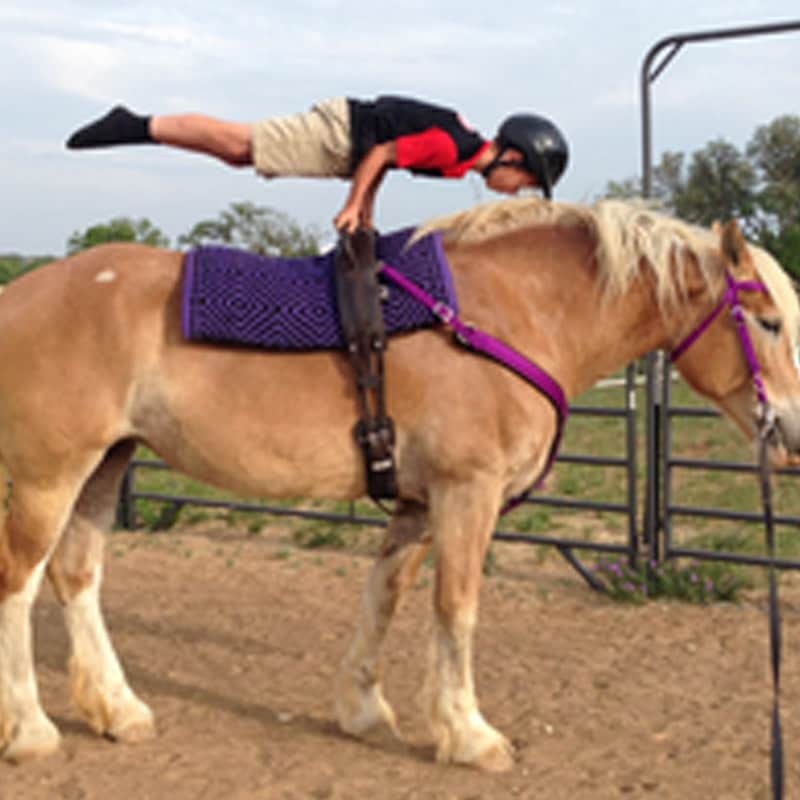 A fast paced athletic vaulting program that focuses on teaching gymnastic and/or yoga moves on the back of a moving horse controlled by an instructor to build strength, focus, and self confidence.